Air Fried Herb and Cheese Frittata | Easy and delicious! Eggs are good for any meal of the day in our house. 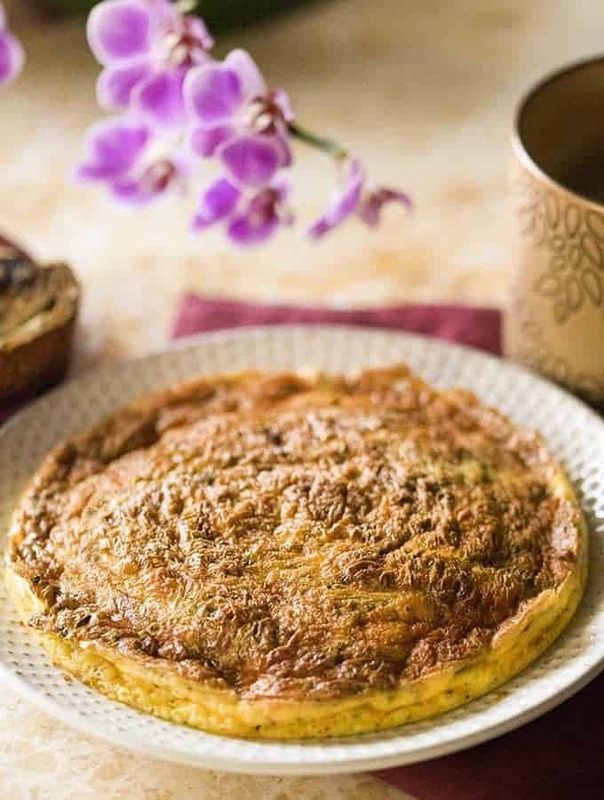 This Air Fried Herb and Cheese Frittata is delicious and comes together so easily, you’re going to love it and it’s a great base recipe for any kind of air fried frittata. 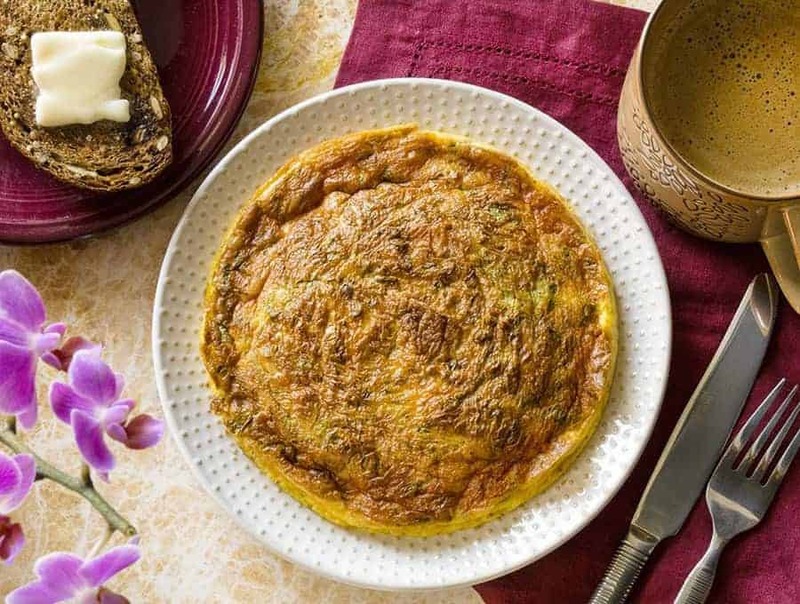 I’ve made several frittatas in my Instant Pot, like my Ham & Pepper Frittata, or my Asparagus and Cheese Frittata, but I hadn’t ever made an air fried frittata before. 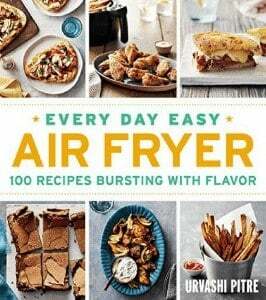 I decided I wanted to figure out how to do that because I love how easy my Air Fryer is to use! I use my Instant Pot so often that sometimes it just isn’t available for me to use because I’m cooking something else in it. The cheese on the top of this Air Fried Herb and Cheese Frittata turns out so crispy and delicious, all while the eggs stay light and fluffy on the inside! The herbs in this recipe give it such a fresh flavor profile and it’s the perfect brunch recipe. As I mentioned earlier, use this as a base recipe and use whatever herbs you have at hand, or what you know your dinner companions will love. Eat it by itself or enjoy with a little fruit. Eggs are good for any meal of the day in our house. 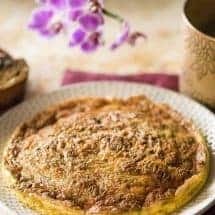 This Air Fried Herb and Cheese Frittata is delicious and comes together so easily, you're going to love it and it's a great base recipe for any kind of air fried frittata. 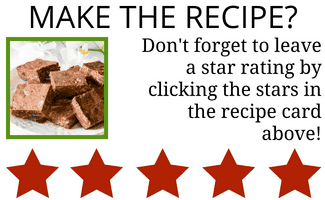 Using a pastry brush or a silicone brush, grease a heat safe pan 6-inch pan that will fit into your air fryer basket. Be sure to grease the pan well, since eggs stick it something fierce. Alternatively, you can place a parchment paper round on the bottom of your pan. In a large bowl, beat together eggs and half-and-half. Stir in all remaining ingredients. 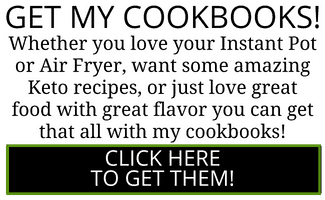 Place the pan into the air fryer basket. Set the air fryer to 330F for 15 minutes, or until the frittata is set and a toothpick inserted into the center emerges clean. 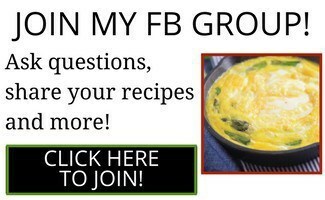 Very carefully take out the hot pan and serve your delicious frittata either hot or at room temperature.